WASHINGTON (CNS) — The revelation in late November that a Chinese researcher had edited genes in human embryos and then implanted them in a woman was “a train wreck of a thing to do,” said an ethicist at the National Catholic Bioethics Center in Philadelphia. Brehany was referring to He (pronounced “hay”) Jiankui, who first revealed his efforts Nov. 26 during an international gene-editing conference in Hong Kong. He learned the gene-editing technique known as CRISPR while doing advanced research at Rice University in Texas. His partner from Rice may face sanctions from the U.S.-based National Institutes of Health depending on the depth of his involvement in the scheme. “CRISPR” stands for “clusters of regularly interspaced short palindromic repeats.” This is a specialized region of DNA having two distinct characteristics: the presence of nucleotide repeats and spacers. 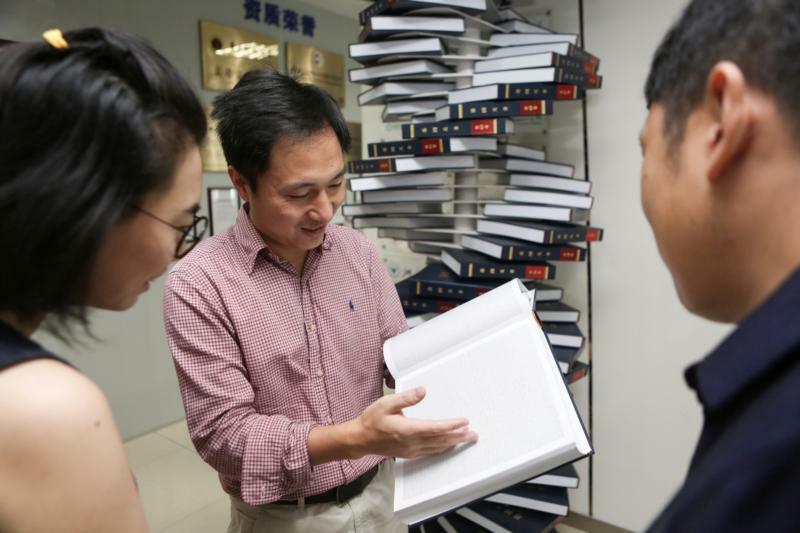 Newsweek reported Dec. 3 that He has not been seen since participating at the International Summit on Human Genome Editing and may be under house arrest by Chinese authorities. Tomatoes and animals are one thing. Humans, though, are another. “There have been a number of attempts at gene editing for things like cystic fibrosis, sickle-cell anemia, a number of conditions that shorten people’s life,” Brehany said. “When you are introducing changes into somebody’s body, they don’t go any further. Either they don’t go any further, or they die. “If you introduce changes into a woman’s eggs, or a man’s sperm, or a human embryo within a very short period after conception, then those genes not only introduce genes into cells but into future generations, and that is both an opportunity in some respects, but it’s also controversial for a couple of reasons. He set out to do just that. And again … in a couple of countries they’ve approved this for a few things,” Brehany said. One country where some human gene editing is legal is the United Kingdom. It is illegal in the United States, and after the furor erupted at the Hong Kong conference, China said what He had done was illegal in China. Other faults Brehany found with He’s work included: practicing gene editing on other human embryos first; implanting twin embryos even though one of the twins did not carry the new trait, and may be “a patchwork of cells with various changes”; giving notice of his research only after he started; and having no experience running human research trials. Editor’s Note: The full text of “Instruction ‘Dignitas Personae’ (‘The Dignity of a Person’): On Certain Bioethical Questions” can be found here.